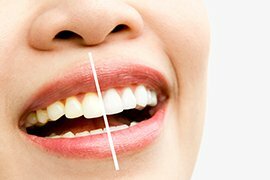 Maintaining a good dental hygiene regimen at home, getting regular check ups and teeth cleanings, and quickly diagnosing and treating any dental problems or emergencies that arise will help you enjoy good oral health throughout life. Oral health directly affects chewing, speaking, good/bad breath, and the aesthetics of your smile. Plus, a healthy mouth also has a positive overall impact on the health of your whole body. At Ganji Dental, we care about the dental and oral health of each and every patient and of local communities in and around Hawthorne, California. We, therefore, provide full dental services for local families and individuals at an affordable price and customer convenience and experience as high priorities. Dr. David Ganji & Dr. Sam Ganji have extensive educational backgrounds in general and many specialized areas of modern dentistry, and they have many years of practical experience as well. Our dental clinic offers truly comprehensive care, such that you would seldom need to see any other dental practitioner to correct a dental problem. We cover everything from extracting wisdom teeth to installing dental implants to providing fillings, crowns, Invisalign or traditional braces, dental veneers, or ZOOM Teeth Whitening. Additionally, we offer free dental exams with digital X-rays to all of our first time patients. We can thoroughly examine your teeth, gums, and oral cavity to determine if there are any cavities or other issues that need to be addressed. Our staff will carefully explain to you the current state of your oral health and what, if anything, could be done to improve it. We give you the information you need to make an informed decision of your own - but we never pressure you into agreeing to a dental procedure. At Ganji Dental, we strive to be the best family dental office in your local area. Our dentists are among the most highly trained in the industry, our facilities are clean, comfortable, and outfitted with the latest dental equipment, and our customer satisfaction rates (as seen via Yelp and other online reviews) are consistently high. We offer in house payment plans and/or financing through Care Credit to those who can't pay upfront, and we accept multiple forms of payment for your convenience. We serve Hawthorne, CA, as well as Los Angeles, El Segundo, Torrance, Redondo Beach, Manhattan Beach, and other surrounding localities. Feel free to contact us today by calling 310-643-8045 to schedule an appointment or for helpful answers to your important dental questions! A Beautiful Smile Awaits You! At Ganji Dental, we pride ourselves in providing top quality dental care to patients in Hawthorne, southwestern L.A. County, and beyond. Both for preventative and corrective dental procedures, as well as cosmetic dentistry, we stand ready to give you a reason to smile! Maybe you've not had a dental exam for a while, perhaps, because you've not had a regular dentist. Ganji Dental can give you your first exam with us 100% FREE! The American Dental Association recommends a dental check up and/or teeth cleaning every 6 months. Only by scheduling 2, or at minimum one, dental exam annually can you catch developing dental problems early and prevent other ones from ever getting started! In the past, removable dentures and dental bridges were the only real options for tooth loss treatment. But today, titanium root dental implants have revolutionized this area of dentistry. Modern dental implants, capped with a dental crown, look, feel, and function just like natural teeth. Because they fuse firmly to the underlying jaw bone, they do not shift in your mouth like dentures often do, and neither do they need to be attached to neighboring teeth for support like bridges do. The success rate for dental implant surgery in the US is at 99%, and most implants last for decades or even for a lifetime. Ganji Dental both lives on the cutting edge of modern dentistry and clings to an "old fashioned" commitment to providing each customer with the absolute best quality of service possible. We have built up our reputation in Hawthorne, CA, and southwest Los Angeles the slow, hard way - by serving and satisfying our clients again and again for year after year. But we also realize that it's not enough to just provide great service - you also have to make it affordable to people. That's why we offer FREE first time exams, numerous discounts, payment plans and financing programs with generous terms, and accept credit cards and most other payment methods. We at Ganji Dental are headed up by two of the most highly trained and well experienced doctors of dentistry in the L.A. Area - Doctors David and Sam Ganji. David Ganji earned high honors at USC when he graduated with a DDS (Doctor of Dental Surgery) degree, and Sam Ganji did the same when he received his DDS (Doctor of Dental Medicine) degree from University of Pennsylvania School of Dental Medicine. All of our staff are also highly trained and experienced in their particular roles. Our dental assistants are licensed by the state of California and have proven their worth through years of exemplary performance. Ganji Dental is all about excellence, be it in the actual dental procedures and services, in customer service and comfort, or in providing affordable financing options. We always put ourselves, mentally, into the dental chair and into your shoes and treat you the way we would want to be treated were our roles reversed. In a word, what Ganji Dental does is provide you and other like you in southwest L.A. with an excellent choice for your permanent, family dentist. We are conveniently located in Hawthorne, CA, and have flexible hours that make it easy for even those with busy schedules to set an appointment. And we keep ourselves poised and ready to respond to emergency dental calls as well. We give your teeth, gums, and whole oral cavity the kind of care it needs to remain healthy for life. We look at the long term, the big picture, and strive to win loyal dental patients by first being loyal to them in serving their needs. By providing highly skilled care across the full spectrum of dental practice areas, we position ourselves to serve you and your whole family in almost every dental situation you and yours are likely to ever face. That means you won't likely have to look for a separate dental specialist, and certainly not for a second general dentist - we do it all! We are the "one stop shop" for all your dental needs. We can't do your daily dental hygiene routine for you, nor make choice in your diet, quit smoking for you, or make other lifestyle changes that will improve your oral health. BUT, we can help and encourage you to understand and implement such changes! We also provide you with "dental health monitoring" in the form of regular check ups and teeth cleaning sessions. We are keen on preventative dentistry since it's far better for you to prevent a problem than to have to have it corrected. Finally, we help by providing restorative and cosmetic dental care that will keep your teeth and gums healthy and looking their best. We can make every procedure as painless as possible through local anesthetic and/or oral dental sedation. 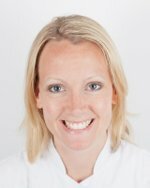 What services do we offer at Ganji Dental specifically? A full list would be difficult to compile, given that we perform the great majority of dental procedures that most people will ever need done. 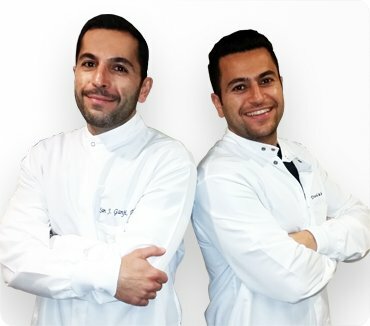 Our on staff dentists, David and Sam Ganji, are fully trained, experienced, and equipped to do everything modern dentistry can offer in protecting or restoring the health of your teeth and gums! Read on below for a quick overview of our main dental service areas (and feel free to examine other pages on this website for more detailed information on a particular service area). View our dental services. No need to fear to go see the dentist - we will make your first exam absolutely free! 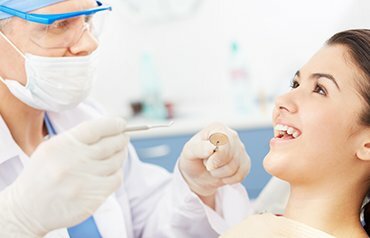 We are confident that many of those who experience the level of service and expertise we provide in the very first visit will decide to jump on board and become regular patients - plus, we are happy to contribute to upping our community's overall oral health by providing these free dental exams! What do our exams consist of? We go over your mouth step by step, inch by inch. We look for signs of dental decay, worn tooth enamel or crowns, misaligned teeth (whether overbite or underbite), gum recession, gum infection (periodontal disease), and more. What do we do if we discover a problem? We promptly inform you of the situation and provide you with information on the risks involved and your options in correcting the problem. We don't use high pressure tactics - we put you in a position to make an informed decision you'll never regret. Not all x-rays are the same. 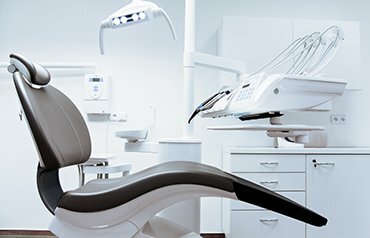 At Ganji Dental, as a part of your first free exam and a part of future exams, we can x-ray your teeth with a high-tech digital x-ray machine that instantaneously produces high-resolution images viewable on an LCD screen right from your dental chair. Digital x-ray images are more detailed than other types of x-rays, and they also use 90% less radiation - which is good for your body! Also, we use (as needed) miniature oral cameras that are able to access even the most hard-to-reach parts of your oral cavity and make them clearly visible on the monitor for your dentist to examine. At Ganji Dental, we use only the highest quality of tooth fillings, including white composite resin fillings that closely match the color of your natural teeth. Additionally, this kind of resin filling can be put into while removing less of your natural tooth material to make way for it. 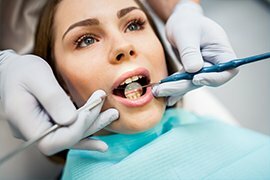 Of course, we can also do other types of fillings if you wish: like gold, silver, or amalgums. But there is no doubt that white composite fillings are the most popular in use today, and they are also quite affordable. Dental examinations, including advanced digital x-rays. We examine every corner of your mouth for all possible dental or periodontal problems. Dental Cleanings. By practicing good dental hygiene day by day and then getting one or two dental cleanings per year, you greatly improve your overall oral health. Tooth fillings. We can identify and eliminate caries (cavities) in your teeth and then protect your tooth with a white resin composite filling that matches the color of your tooth. We can also use another kind of filling if you prefer. Dental crowns. Not only are crowns used to cap dental implants, but they also can strengthen a cracked, chipped, or badly worn natural tooth. Crowns come in many varieties, and we can help you decide which type is best for you and your tooth. Root canal surgery. When cavities aren't caught in time, and the inside of a tooth is too badly damaged and infected, it may be time for a root canal. We at Ganji Dental are adept at properly drilling and cleaning inside an infected tooth, dealing with surrounding gum infections, and in filling the tooth with gutta percha. We can also crown the root canal tooth. Dental bridges. If only one or two teeth are missing in close proximity, a dental bridge may be able to solve the problem. There are both fixed and removable bridges to consider. Dentures. Dentures can be partial or full and fixed or removable. They can also be secured to dental implant roots (four implants support an upper or lower jaw denture piece). Extractions. Ganji Dental can handle not only simple extractions, but also complex tooth extractions where teeth must be split or are wedged against other teeth. This includes extraction of wisdom teeth. When you have a whole family of mouths to (not only feed) but to care for as to oral health, it can be quite challenging. At Ganji Dental, we make it as convenient and affordable as possible. 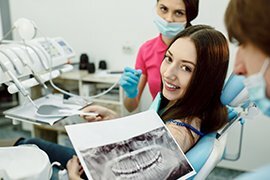 We offer services for people of every age and cover all manner of dental services anyone in your family will probably ever need. We understand how difficult it can be to schedule dental appointments when you work and when you have a busy family. That's why we keep ourselves as flexible as possible and offer same day appointments where possible - and also respond quickly to dental emergencies. Expenses can pile up fast when you're raising and caring for a family with children, and we at Ganji Dental fully understand that. That's one of the reasons why we keep our prices very competitive. We also accept numerous different types of dental insurance and multiple payment methods and offer workable payment plans and financing to our customers. You can't plan emergencies. And a dental emergency, where your dental appliance has fallen off (such as a crown or bridge), where a tooth has been knocked out or loosened, or where excruciating pain is throbbing due to a toothache or cracked or chipped tooth, demand immediate attention. Ganji Dental provides you with 24/7 dental emergency assistance and care. We can get you in to see us on short notice for emergencies. You can't always plan months, weeks, or even days in advance for a dental appointment - and we understand that and accommodate you. If you are experiencing a dental emergency, do not hesitate to contact us. We can help you to get in touch with the right people even after hours! While removable dentures and bridges are still popular, titanium root dental implants are fast gaining in popularity. The reason is simple: they are far and away the best overall tooth loss restoration solution. Dental implants consist of a titanium root (rod) that fuses to the jaw bone, passes through the gum tissue, and is capped with a modern, tooth-colored dental crown. A supportive post may or may not be needed as well. The end result is that dental implants are firmly attached to your jaw and look, feel, and function just like ordinary teeth. Also, you don't have to remove, clean, and reposition dental implants like you do dentures. And it's not any more difficult to care for them with brushing and flossing than it is your natural teeth. Dental implant surgery is successful 99% of the time, and 98% of the time with same-day implants. And in the unlikely event of a problem with your implants, your dentist will be able to correct it. Dental implants avoid many of the issues that come up with dentures and bridges. They do not wear down your alveolar bony ridge nor cause your gums to get sore or bleed. They do not require to be attached to neighboring teeth. Nor do you need to replace them every few years - they last decades and usually for a lifetime! Although some need preliminary bone graft or gum graft surgery to prepare for dental implants, and other solutions might be preferred by some in certain situations, dental implants are normally the best answer to tooth loss. 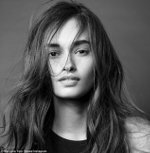 When teeth are seemingly permanently stained yellow, at least in part, or look dulled and dirty no matter how much you brush, it can be embarrassing and depressing. And many of the teeth whitening systems you can buy in the store simply don't do a good enough job. At Ganji Dental, we offer you ZOOM Teeth Whitening system, which is proven and well received by large numbers of dentists as the number one teeth whitening method available today. Many of our dental patients have come in with teeth stains they thought could never be removed and left, after one short dental visit, with teeth looking two or three shades brighter. Ganji Dental offers a number of different cosmetic dental procedures to improve your smile. Dental bonds and veneers are among the simplest and most common such procedures. A dental bond is simply a bonding agent that closely mimics the look of tooth enamel and covers over small imperfections on a tooth. It's often used if you have a tiny fissure or chip or even stain you want to conceal. Bonding is completely safe in your mouth, lasts a long time, and doesn't cost that much. A dental veneer is generally made of porcelain and is as thin as a piece of paper. It is like a wafer that covers over the front side of a tooth to conceal stains or other imperfections below. When visual problems with a tooth are a bit larger, you normally choose veneers over bonding. Plus, sometimes, a veneer can extend slightly past the edge of a tooth to close too-wide interdental gaps. A dental crown is really an artificial tooth that sits on top of either a natural tooth that is in some way damaged, a root canal tooth, or a dental implant rod. There are many kinds of dental crowns to choose from, and we at Ganji Dental can equip you with any type you prefer. We can give you the relevant information so you can decide on whether a porcelain, ceramic, resin, metal, meta-and-porcelain or other crown-type is right for you. Despite the importance of dental implants, there are still times where bridges or dentures may be a good choice. Bridges work well when you need to replace only one or two teeth far in the back of your mouth. 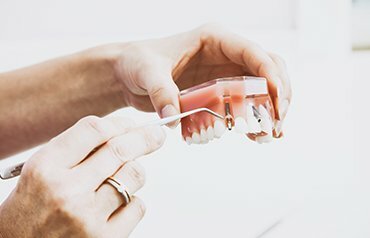 Dentures are cheaper than implants, can be used temporarily before you're ready for implant surgery, and are a viable alternative when you aren't a good candidate for implants or you simply don't want them. Modern bridges and dentures come in many different forms and are greatly improved as compared to those of years gone by. Plus, permanent dentures can be attached to four implant rods if you desire. It's always better to save your natural tooth wherever possible, and in the case of a badly infected tooth, root canal surgery may be the way to do that, instead of getting an extraction followed by a dental implant or other tooth restoration option. With root canals, we first remove the infected tooth "pulp," then carefully clean out the tooth canal, next fill in the tooth with gutta percha, and finally, place a dental crown on top of the tooth. A root canal tooth can last 10 to 20 years and is a great way to avoid an extraction. It may not always be a permanent solution, but it's a very long term solution and will allow your root canal tooth to function normally for years to come. Especially with kids, but also sometimes with adults, misaligned and drifting teeth are a major problem. At Ganji Dental, we have multiple ways to solve these types of problems. Traditional braces come in many styles and brands, and they are sometimes the only viable option. But in many cases, you can also opt for Invisalign acrylic dental trays. These trays are almost invisible from a distance so that many won't even know you're wearing "braces." Invisalign trays come in a series that gradually shifts your teeth into proper position over a period of, usually, about a year or less. We at Ganji Dental make a point to keep ourselves consistently available to promptly answer your call. And if we can't answer immediately and must take a message, we are diligent to always give you a timely call back. Whether you want to set up an appointment or just have some dental related questions you would like to ask, feel free to call us at 310-643-8045 today! For first time patients, be sure to ask about our FREE dental exam with digital X-rays and other special discounts. If you are in the midst of a dental emergency, we can normally see you same-day. And if you are worried about how you will afford the dental care you need, don't be afraid to ask us about our financing plans.